Within a national higher education context, university of Klagenfurt’s sense of regional responsibility and its position as a “flagship institution” in terms of its smart specialisation strategy mean that it is much in demand as an institution, particularly within Carinthia itself. The principles guiding the university focus on anchoring Alpen-Adria-Universität Klagenfurt within the region, as well as fulfilling the requirements placed on it as a university.  As such, University of Klagenfurt is required to satisfy international standards of research and teaching and is supported in this endeavour by its research- and theory-led teaching and the visibility and reputation of its research. University of Klagenfurt’s strategic aim is to significantly enhance the competitiveness of its teaching and research at a national and international level. In particular, the international visibility and competitiveness of the university’s research activities should therefore be significantly increased within relevant research communities so that young researchers are also able to compete successfully for international research positions and funding. The ability to compete and co-operate at an international level means that University of Klagenfurt students have the academic foundation needed to continue their studies or complete their degree at any university in the world, and also that incoming students to University of Klagenfurt have access to a teaching and study environment of an international standard. University of Klagenfurt’s unique location at the intersection of three cultures represents a strategic opportunity for research and teaching informed by internationalisation. 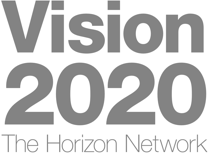 University of Klagenfurt believes it has a duty to make a contribution to the development of the Alps-Adriatic region, whether this be through joint research and development projects with regional partners or teaching and knowledge transfer within the region, which is an area of particular importance for less mobile sections of society. University of Klagenfurt also believes it has a responsibility to support the efforts of local government to stem the flow of young people leaving the region through its activity. University of Klagenfurt views itself as the centre of a learning-driven region and fulfils a number of different roles there. It ‘produces’ highly qualified intellectual capital for the region, is an incubator of innovation and entrepreneurship and an attractive employer, and also brings opportunities for cultural and political discourse to Carinthia. University of Klagenfurt’s multi-faceted relationships with organisations across the region are central to University of Klagenfurt’s international research activities, teaching and knowledge transfer. University of Klagenfurt identifies prospective areas for synergistic development at the university, which can then be used to formulate additional guiding principles that contribute to the pooling of resources within the region so that it can build upon its strengths and invest in well-defined areas for development. The University of Klagenfurt Location strategy (only in German) discusses strategic aims linked to making the university an anchor institution for the region.